ScreamWorks Records returns to the world of Spanish horror films with Sweet Home, the latest home invasion thriller released by Filmax, the company behind the country’s number one horror franchise, [REC]. 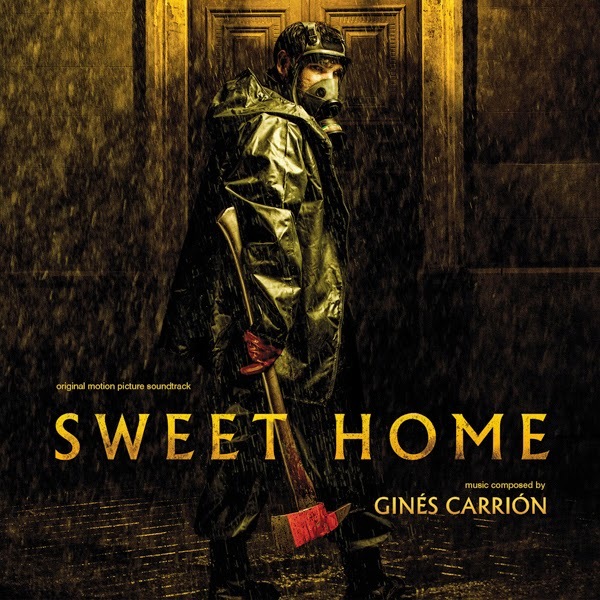 Directed by Rafa Martítnez, Sweet Home stars Ingrid Garcia-Jonasson and Bruno Sevilla in the roles of a young couple who move into a new home, set in a largely disused building. Although having a huge place to themselves seems to be advantageous at first, they will soon find out that having no neighbors means nobody could help them when the house unravels it’s horrific secrets… The soundtrack release by ScreamWorks Records coincides with the film’s theatrical premiere in Spain on May 8. Composer Ginés Carrión started his career in film music alongside composer Roque Baños and worked as an orchestrator on films like Alatriste (2006), Evil Dead (2013) Oldboy (2013) and numerous entries of the Torrente franchise. As a composer, his list of credits include several notable short films such as Daniel Romero's No mires ahí (Don't Look There, 2013) or Alicia Albares' Al otro lado (To the Other Side, 2013) - both films offered him the chance to experiment in the fields of fantasy and mystery, now presented in feature-length glory. The music for Sweet Home is an action-horror score building upon the composer’s experience of orchestrating Roque Baños’s music for Evil Dead with a special focus on the currently popular hybrid sound fitting for a home invasion thriller. The ”Main Title” launches an energetic yet sinister theme with a strong sense of 80s sensibilities. "I'm a maniac for the sounds my neighbors make” admits the composer “and since the whole movie takes place inside a building, the music is full of bumps, sounds and echoes that seem to emanate from behind the walls of the hallway or another apartment." The majority of the score is electronic with a smaller section devoted to orchestral effects that break the barrier between sound and music, including a horn simulating a truck klaxon and an ignition flare effect to name just a few of the more creative examples from the score. Just Announced! Knock.. Knock? Who is there?